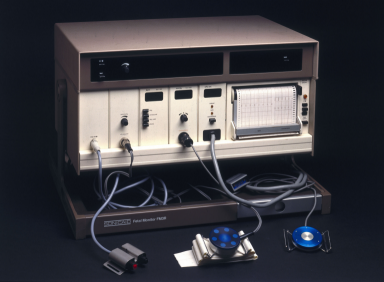 During childbirth the baby's heart rate and the mother's contractions are constantly monitored using machines like these. Changes in the foetal heart rate often lead to medical intervention. They have become commonplace features of hospital births in the NHS since the 1970s.